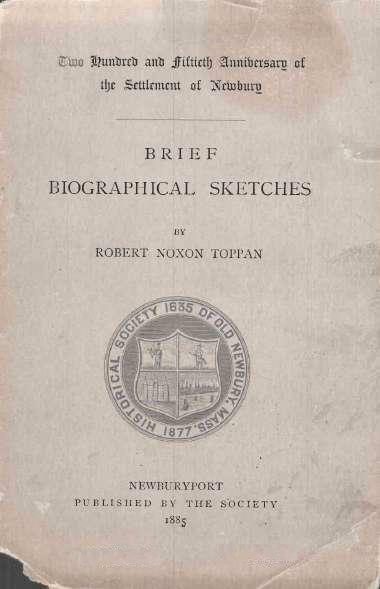 The book, "Brief Biographical Sketches [of the Settlement of Newbury]," by Robert Noxon Toppan, Newburyport, Massachusetts, 1885. 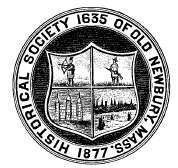 It is a small book dealing with the pioneers and residents of Newbury, Massachusetts as of 1885. 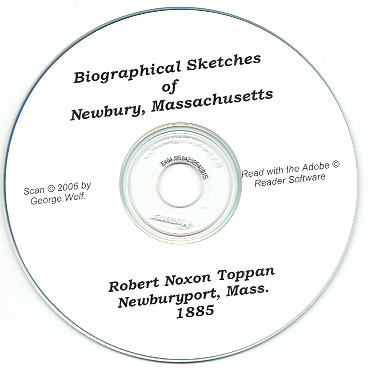 It is absolutely filled with genealogical and personal information about various Newbury, Massachusetts residents. The book has approximately 132 pages and is fully indexed and linked. Please note: This is not a paper book, it is a scan of the original paper book into the digital Adobe PDF format, written on a CD-ROM. You read this book on your computer using the free Adobe Reader software. It is a digital version of a hard to find book. If you could find a copy of the 1885 printed book, it would be very expensive. Jacob Bailey, William Bartlet, Edward Bass, John Parker Boyd, Theophilus Bradbury, & Moses Brown. John Clark, Thomas March Clark, Charles Coffin, Joshua Coffin, & Caleb Cushing. 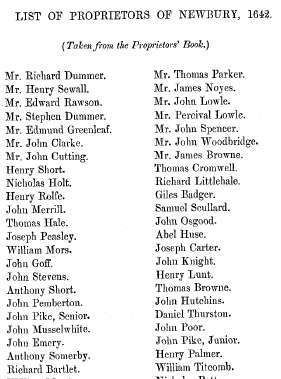 Tristram Dalton, Richard Dummer, & William Dummer. Cornelius Conway Felton & Daniel T. Fiske. William Lloyd Garrison, Hannah Flagg Gould, Benjamin Greenleaf, Simon Greenleaf, & Adolphus W. Greely. Charles Jackson, James Jackson, Jonathan Jackson, Patrick Tracy Jackson, & Jonathan Johnson. Rufus King, Samuel Lorenzo Knapp, & Frederick I. Knight. Jacob Little, Moses Little, Francis Cabot Lowell, John Lowell, Cutting Lunt, Henry Lunt, & George Lunt. 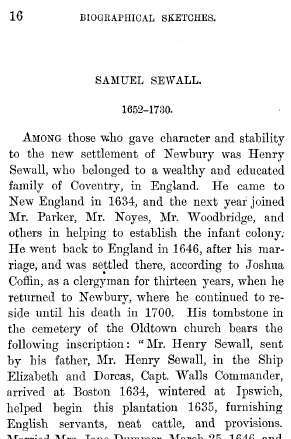 Paul Moody & Samuel Moody. James Noyes & Nathan Noyes. 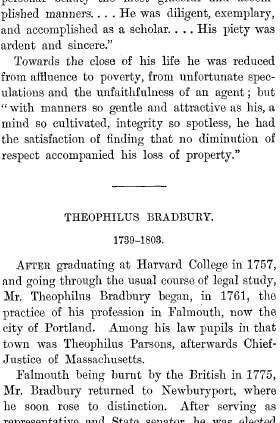 Robert Treat Paine, Thomas Parker, Jonathan Parsons, Samuel Holden Parsons, Theophilus Parsons, Theophilus Parsons, Jr., James Parton, George Peabody, Eliphalet Pearson, Henry C. Perkins, Jacob Perkins, John Pierpont, Nicholas Pike, William Plumer, Ben Perley Poore, & John Snelling Popkin. Micajah Sawyer, Henry Sewall, Samuel Sewall, Harriet Prescott Spofford, Richard S. Spofford, Gardiner Spring, Samuel Spring, & John Bernard Swett. Isaiah Thomas, Moses Titcomb, Charles Toppan, Christopher Toppan, Nathaniel Tracy, John Tufts, & Stephen H. Tyng. Samuel Webber, William Wheelwright, George Whitefield, Leonard Withington, Benjamin Woodbridge, John Woodbridge, Leonard Woods, Leonard Woods, Jr., & Samuel W. Wyman.